The role of legal translators, and of legal translation as an activity, is attracting increasing attention, with a host of conferences having been organised on the subject or closely related topics in recent years. 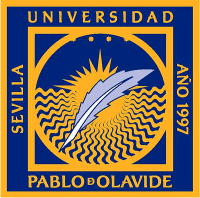 I’ve recently returned from a very interesting and productive conference in Seville entitled, “From Legal Translation to Jurilinguistics: Interdisciplinary Approaches to the Study of Language and Law” held at the Universidad Pablo de Olavide in late October. Prof. Jan Engberg, an expert in knowledge communication, stressed that legal translation is all about the translator being able to communicate specialised knowledge so that people (typically but not always lawyers) in one knowledge community can understand what is being said by people in another knowledge community. Legal translators mediate and broker the transfer of that knowledge and are interested in solving the linguistic problems that emerge in conveying knowledge. Their primary goal should be to create a text in the target situation that can be read in the right way by its audience. He stressed the importance of comparative law in this regard; which brings us to the next major theme at the conference. Another broad theme at the conference was the importance of comparative law, and the importance of a transystemic approach to the study of law to enable legal translation to occur more easily because of greater understanding on the part of legal translators of what the concepts involved mean in, and across, legal systems; a topic addressed by Prof. Emerich in her keynote address. Building on the vital communicative role legal translators play, Juliette Scott, emphasised in her presentation the importance of legal translators correctly positioning themselves in the market, and stressed how important it is for legal translators to choose the correct terms when referring to themselves, primarily because of the impact this has on how the market perceives them as professionals. In her keynote speech Prof. L. Biel examined the historical development of corpuses in translation and discussed the importance of corpuses so far as a research tool. Since legal language is highly patterned and formulaic, corpuses are proving useful in identifying these patterns; though some translation studies have indicated that despite such high formulaicity, translators often have a tendency to use their own phrases rather than the patterns that would typically be used in corresponding target language texts. Somehow “translation as a process” is interfering. It is to be hoped that corpuses can be operationalised to ensure greater consistency across languages to improve translation quality. Gianluca Pontrandolfo also presented interesting corpus-based research on judicial phraseology, and several other speakers provided practical examples of how corpuses can promote better quality legal translations. On a related point, several speakers analysed the difficulties one often encounters with legal dictionaries and presented projects aimed at creating better quality legal dictionaries or glossaries, presenting some interesting methodologies such as the ‘least bad possible equivalents’ for terms when two legal systems do not have the same concepts (Frison & Gavrilova) or a participative, interactive glossary-development process (Fiola). Several other papers addressed the progress made so far in adapting the law in various EU countries to the requirements of the recent directive on translation and interpreting in criminal settings, revealing that transposition has not always been a smooth process.